Some blemishes on Package but item is new. Great gift for any fans collection! Made in china. The first ever s.H.Figuarts version of everyone's favorite Teenage mutants are coming in the classic animation colors! (The background dioramas are not included). Made in china. Character FamilyTMNT. Great gift for any fans collection! Size: approx 12.5cm/5.5". RAPH WITH STEALTH BIKE. 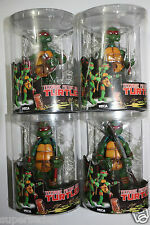 APPROX SIZE: 2.5" RAPH. FROM: PLAYMATES. 12" LONG BIKE. Doing that is against U.S. and international laws. Nothing is more important than your concerns and frustrations; we will do our endeavor to solve your issues. Q.What should I do if I didn't receive my item?. Rise of the Teenage Mutant Ninja Turtles, and a must have for any fan, Foot Lieutenant is harder to find than a sewer lair with a view! But you can get one here, sealed inside an unopened card ! No delays! Teenage Mutant Ninja Turtles Half Shell Heroes Stealth Cycle with Racer Raph #1 The figure and vehicle are in excellent used working condition. From a smoke free home. We do our Best describe every item accurately. If you have any problems please email us immediately and we Will get the issue resolved. We do combine shipping on multiple items purchased at the same time. Please add all items to your cart before checking out. EBay should automatically calculate the shipping cost. In the event that you were overcharged for shipping you will receive a refund within 24 hours. The first ever S.H.Figuarts version of everyone's favorite Teenage Mutants are coming in the classic animation colors! the "cool but rude" Raphael is the third turtle to join the series complete with his classic weapon, two sais. (This is for a set of 6 Teenage Mutant Ninja Turtles keychains series 1 blind bags. 2) Order all you like. If you need an item faster, expedited services are available. New and unopened but package has wear. Please see pictures for condition Teenage Mutant Ninja Turtles Michelangelo Hero Portal Booster Pack Donatello New Includes: Donatello and Michelangelo Choose your Hero - place on portal to Unlock in the Game! Figures only work with their game specific portal, the more figures you collect, the more missions you can activate. 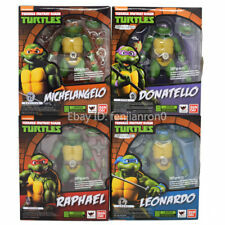 Ages 8 and up Teenage Mutant Ninja Turtles Michelangelo Hero Portal Booster Pack Donatello New. Condition is New. Shipped with USPS First Class Package. Heroes are great but villains are greater. 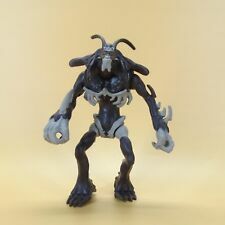 Animal Toy Model. Eight different interchangeable hands. Action Stand. 3 Ninja Stars. all products are original 100% authentic and never been used unless otherwise stated. But it may delay due to Custom / Weather. THREEZERO 3A. Item is factory new. From ThreeA. He stands slightly over 13" tall and features over 25 points of articulation. OUT OF THE SHADOWS. So use caution if you have a child who likes to throw things ( terrible twos or under 5 years). Im truly sorry but to be able to keep prices reasonable this policy must be enforced. you can find the details on their classic website. Incomplete - missing weapons. FREE Trial! 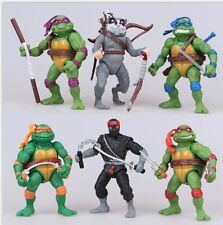 Teenage Mutant Ninja Turtles Set Of 3. Condition is Used. Shipped with USPS First Class Package. S.H. 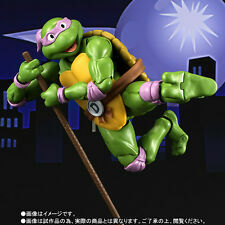 Figuarts - Teenage Mutant Ninja Turtles - Raphael. The first ever S.H.Figuarts version of everyone's favorite Teenage Mutants are coming in the classic animation colors! We got this directly from the NECA website so we know it is aithentic. Also, occasionally as my wife takes most of the photos you may see her emotional support dog in the background. --Hi there! All are authentic. Body with over 25 points of articulation. Walkie Talkie. Extendable Fighting Bo-Staff. Interchangeable Hands. CHOKING HAZARD SMALL PARTS. NOT FOR CHILDREN UNDER 15 YEARS OF AGE. FREE scheduling, supersized images. Standing 32.6cm tall and featuring a fully realized likeness of Leonardo from the movie with detailed wrinkles and skin texture. Over 12" tall. Authentic and detailed fully realized likeness of Leonardo in Teenage Mutant Ninja Turtles. Turtle Phone x1. 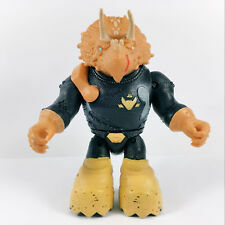 Animal Toy Model. Female body x1. Head Sculpt x2 (regular head kidnap head). Press Badge x1. all products are original 100% authentic and never been used unless otherwise stated. Animal Toy Model. Eight different interchangeable hands. 3 Ninja Stars. Action Stand. all products are original 100% authentic and never been used unless otherwise stated. Wrist Guard. Harry Potter. Japanese Animation. Sealed Michelangelo Flinger figure in original bubble blister pack. The cardboard has some edge wear, and creases on the back.There are 2 shipping options to choose from.Thank you and good luck! Includes: it's a mixed batch of MacDonald toys 2012/2016. Being them loose and used toys. may have minimal wear, like minor scuffs or rubs. F-P THOMAS& FRIENDS MINIS TRAINS SET OF 9 TEENAGE MUTANT NINJA TURTLES. Scale size is only a guess. contents is in mint condition. 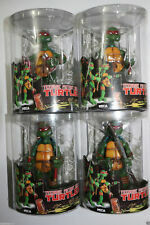 Playmates toys TMNT Teenage Mutant Ninja Turtles MUTAGEN MAN figure 5" Viacom Ships fast in hand, get whats pictured. Playmates Nickelodeon TMNT Teenage Mutant Ninja Turtles Shredder 5 1/2" Tall. Condition is Used. Shipped with USPS Priority Mail. There is only minimal normal wear. See pictures. Please email with any questions. Check out our other items also. Tiny blemish on box please see pictures for details.